I Challenge Diabetes is heading your way to deliver a great day of hiking and mentoring as we connect, challenge and explore Mt Quimper trail just outside of Victoria, BC. Take on the challenge of the Sea to Sea trail with peers who understand. 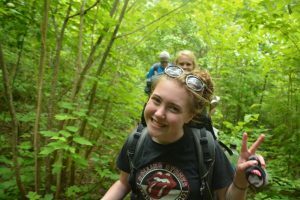 Join us for a camp style lunch and experience what our outdoor programs have to offer the T1D community with fun for the whole family and an opportunity to ask our wilderness team anything! No experience required. Come rain or shine! 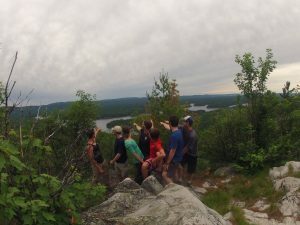 What: After some introductions we will hike and explore the forested trails, to several smaller summits, and rock bluffs, exploring Mt Quimper. We are asking YOU to consider something to bring for food but will also have a little taste test of our back-country kitchen. That means you get to see the type of food we cook when we are leading groups with type 1 through the wilderness without power and carrying all our gear through to see the most spectacular views the world has to offer. We’ll test our blood sugars together, carb count it up, bolus and enjoy a group lunch. Any dietary restrictions can be accommodated with particular expertise in gluten free cooking! Who: Any individuals with T1D, friends, and family. All ages are welcome! Cost: There is no registration fee for this event. Tickets are limited so please RSVP! Other Information: Please bring a water bottle, test kit, insulin (pens or backup sites), low blood sugar supplies and weather appropriate attire, including shoes with soles that are good for climbing – no flip flops! . We will be doing a camp style lunch and encourage everyone to bring something you can bring on the trail with to share with other families. If you want to bring something but can’t decide on what, please let us know and we can suggest certain items.